In January, so many people set resolutions and vow to make changes. 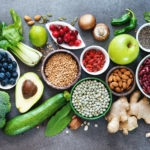 One of the keys to maintaining a healthy lifestyle is to make changes that are sustainable; it’s not always about going on strict diets and hitting the gym five times a week. Whilst in the short term diets and intensive exercise are great, many people simply cannot sustain these choices. So, what is the key to healthy eating and living? How can a healthy lifestyle be accessible for everyone? Increase your fibre intake – fibre is found in vegetables, beans and pulses. Fibre is great for intestinal (gut) health and keeping your bowels regular. Have a colourful diet – try and incorporate different coloured vegetables into your diet: carrots, green beans, red cabbage, beetroot, broccoli, parsnips etc. Make sure you have at least two colours of vegetable per meal. Eat whole food – try and leave the skin on vegetables and potatoes, eat whole grain rice and oats. 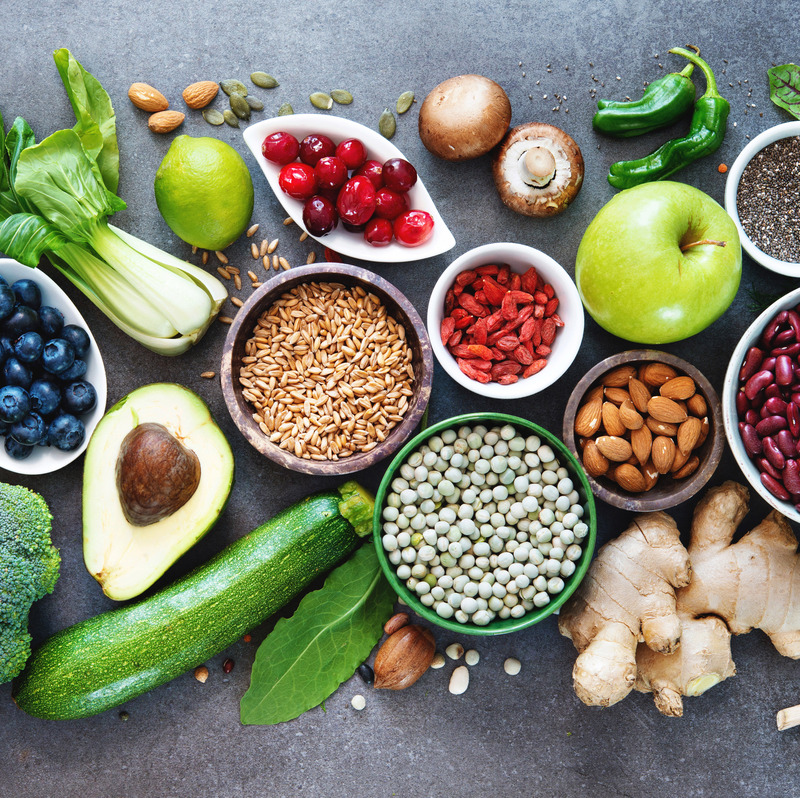 Focus on plants – there has been lots in the news recently about a plant-based diet, but they are a great source of fibre and protein. Eat fats – but make sure they are the good type of fats… nuts, avocado, fish etc. Fats help you feel full and are good for your immune system. Limit your hours of eating – try and eat within a 12-hour window every day e.g. 7am-7pm. This helps promote your daily body rhythm and prevents late night snacking. Reduce your refined sugar intake – its sugar that makes you fat, plus it can cause inflammation in the human body. Try and keep your sugar intake below 35g per day for good health, but make sure the bulk of that is from fruit and naturally occurring sugars, not dairy and refined sources. Move your body – why not set a challenge with your colleagues to see who can do the most steps in a week, or even better, challenge another department, and work with your colleagues as a team. This is a great way to get you moving and brilliant for moral as well. Remember to breathe! This always gets raised eyebrows when we say it in wellbeing sessions, but so many people breathe into the top third of their lungs rather than the base of the lungs. An easy way to do it, is to put your hand onto your stomach, just above your belly button, now try and breath into your hand so that your stomach inflates with each in breath – does it make you light headed? If so, guess what, you weren’t breathing properly. This is a brilliant tool to help with dealing with anxiety as well as it slows the heart rate and makes your shoulder drop down from your ears. Finally – get enough sleep. Aim for 7-8 hours a night. Don’t fret too much if it is broken, as long as you are getting the 7-8 hour sleep. Try and get up at the same time every morning, otherwise you are causing your body to suffer from ‘jet lag’ by putting it out of its normal circadian rhythm. For more information on our Wellbeing Workshops about promoting health within the workforce please contact us or call 0844 481 0093. Workshops can be tailored to your organisations specific requirements and can last from one hour to all day. Why not focus on boosting moral and preventing ill health, rather than having to deal with the cost of absence. Making a meaningful difference to the health of your employees. For more information about how Lincoln Occupational Health can help you please contact us on enquiries@lincolnoccupationalhealth.co.uk or 0844 481 0093 where our team will be happy to help.